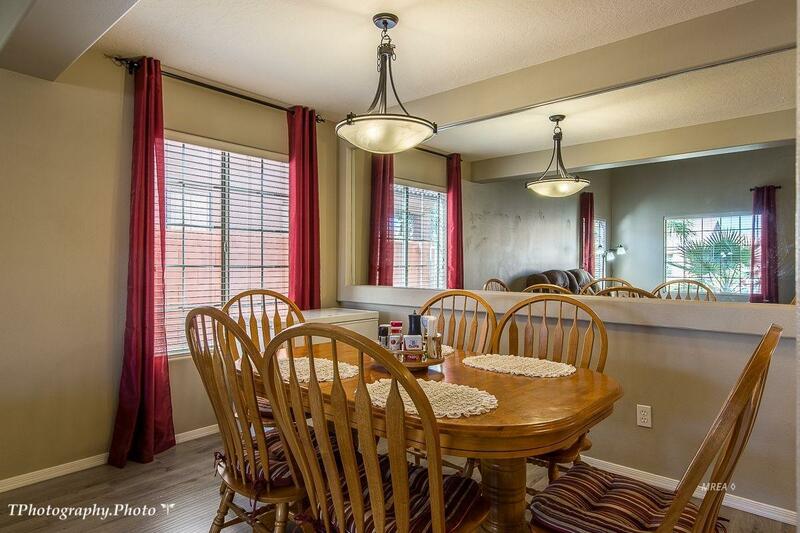 This beautiful 4 bedroom, 2.5 bath home has over 2,000 sq.ft. with plenty of room for family and guests. 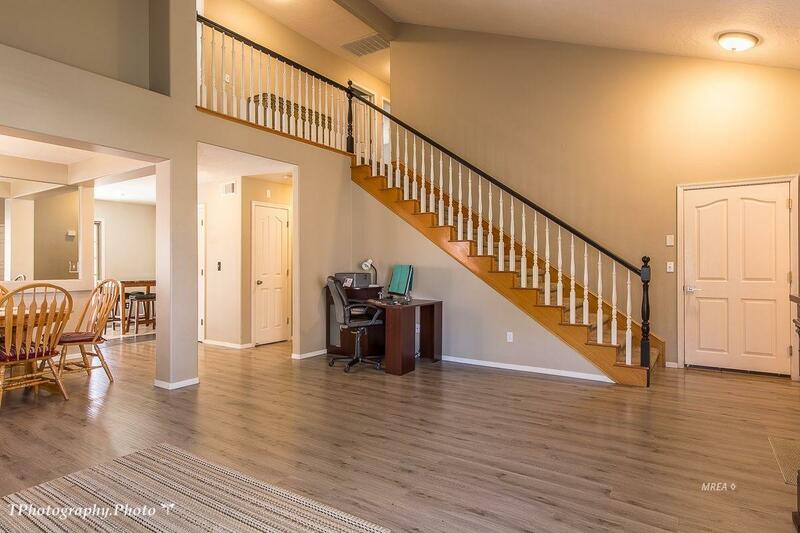 The home has had recent updates with beautiful plank wood-look flooring throughout the downstairs. The custom kitchen with breakfast nook has two toned cabinets and tile flooring, and stainless steel range with double oven. The living and dining area is open and spacious with a guest bathroom off the living area. The downstairs master bedroom with bath, has a walk-in closet and additional closet in the bedroom. It also has a sliding door access to the backyard patio. Upstairs has 3 bedrooms, a full bathroom, and a generous size laundry room with storage closet. One of the bedrooms is currently used as an office and has slider door access to the balcony. The washer and dryer is included with the property. 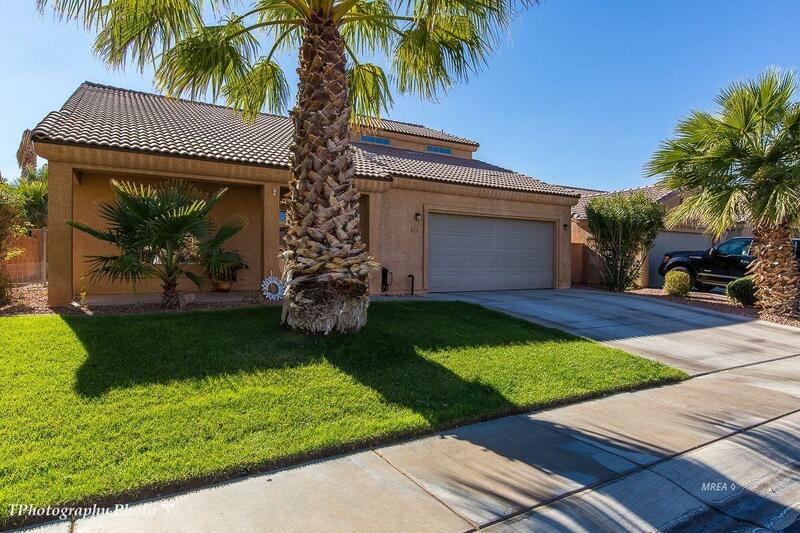 This Copper Bluffs home is a gated community located up the street from the Oasis Golf Course and includes all the amenities at Mesquite Vistas Sports Center. Enjoy the community pool and spa, fitness center, pickle ball and bocce ball courts. The clubhouse now serves food and drinks. Exterior Features Fenced- Full Gated Community Landscape- Full Lawn Trees Patio- Covered Swimming Pool- Assoc. 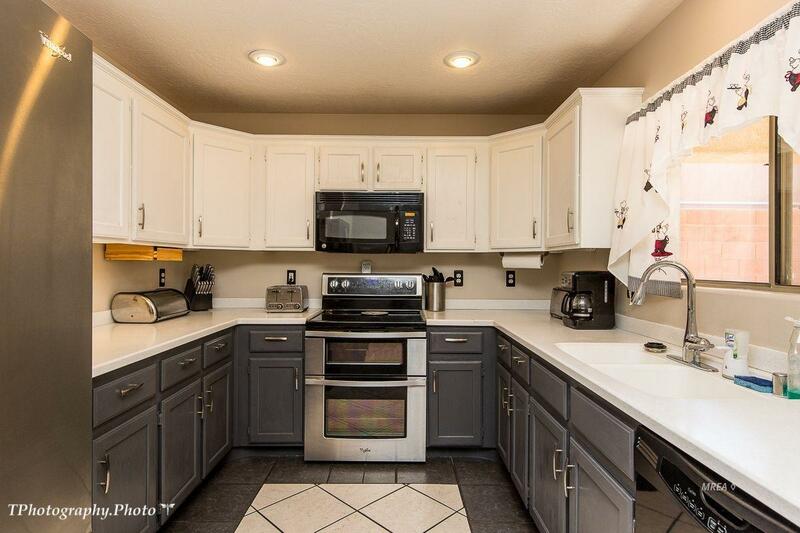 Features And Inclusions Dishwasher Fenced- Full Flooring- Carpet Flooring- Laminate Flooring- Tile Gated Community Landscape- Full Lawn Microwave Trees W/D Hookups Washer & Dryer Water Heater- Electric Oven/Range- Electric Patio- Covered Swimming Pool- Assoc. Listing provided courtesy of Norma Sachar of Premier Properties Of Mesquite.